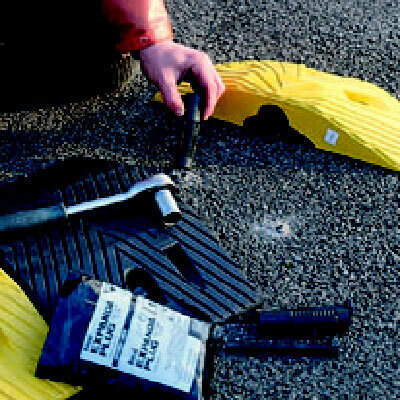 Road traffic signs 600 mm priority to oncoming traffic class 2 reflective 3mm aluminium signs. 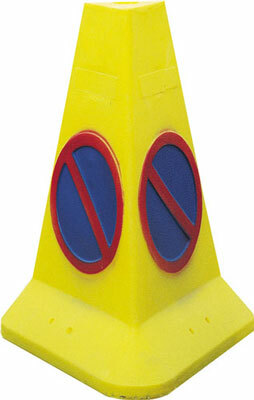 Road traffic signs - 600 mm priority to oncoming traffic CLASS 2 reflective 3 mm aluminium signs. 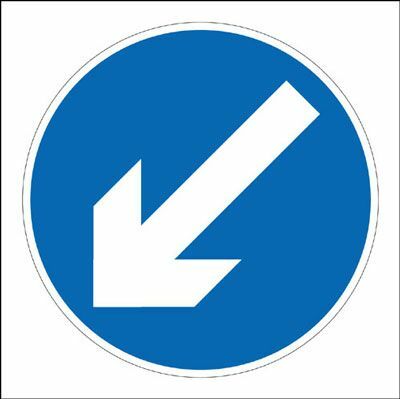 Road traffic signs 600 x 680 mm overhead height restriction class 1 reflective 3mm aluminium signs. 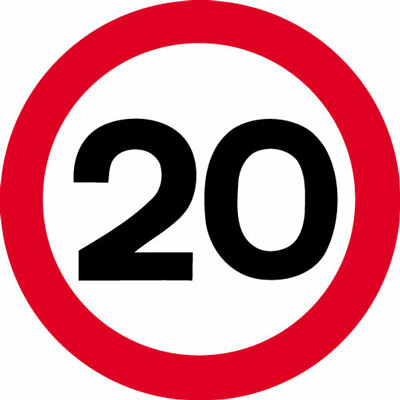 Road traffic signs - 600 x 680 mm overhead height restriction CLASS 1 reflective 3 mm aluminium signs. 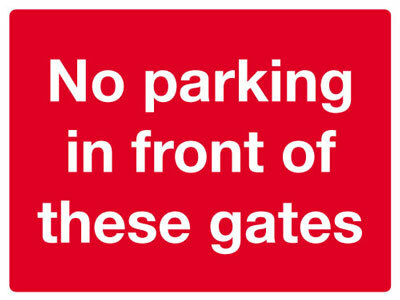 450 mm no entry class 1 reflective 3mm aluminium signs. 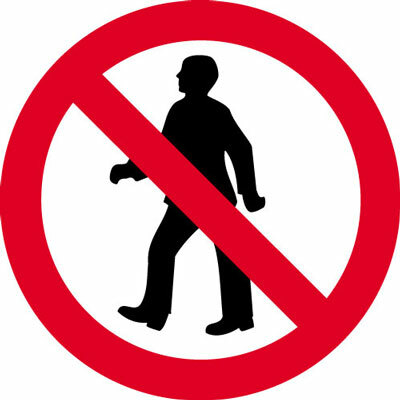 450 mm no entry class 1 reflective 3 mm aluminium signs. 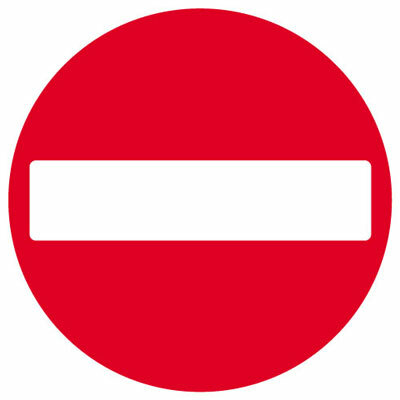 450 mm no entry class 1 reflective 3mm aluminium sign. 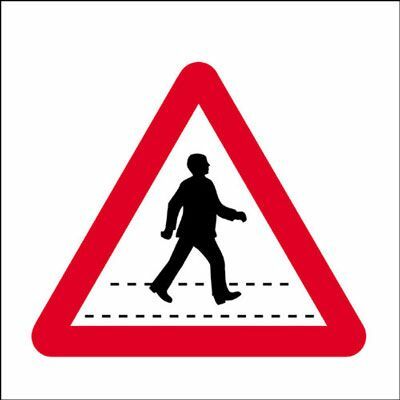 600 x 680 mm give way class 1 reflective 3mm aluminium sign. 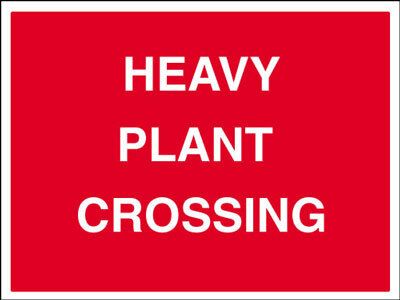 600 x 680 mm overhead height restriction class 1 reflective 3mm aluminium sign. 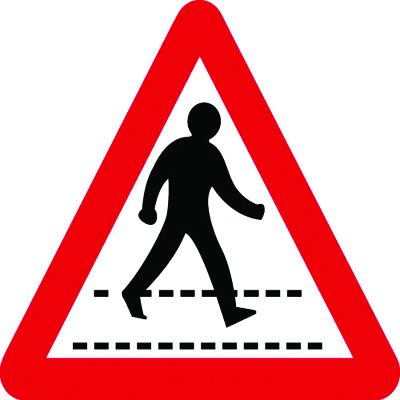 600 x 680 mm triangular pedestrian crossing class 1 reflective 3mm aluminium sign. 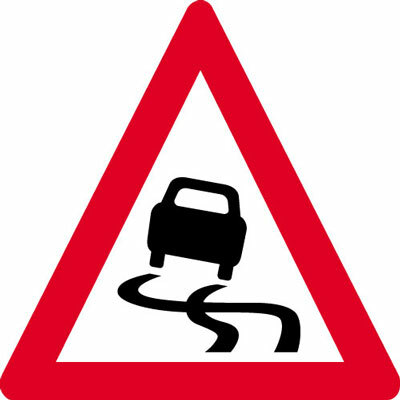 600 x 680 mm slippery road surface class 1 reflective 3mm aluminium sign. 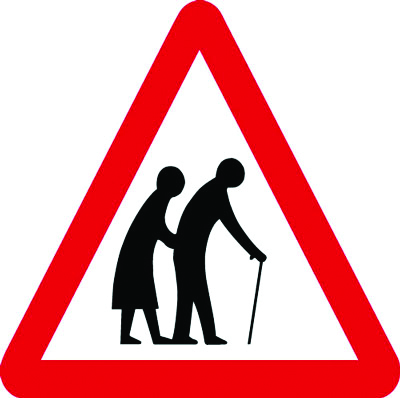 600 x 680 mm elderly people crossing class 1 reflective 3mm aluminium sign. 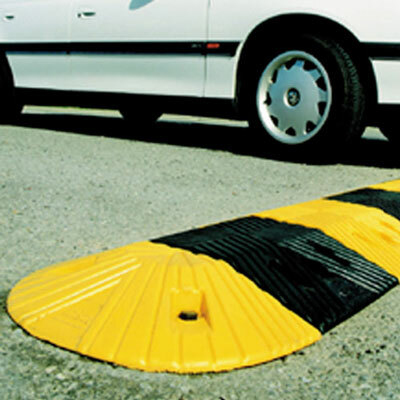 600 x 680 mm speed bump class 1 reflective 3mm aluminium sign. 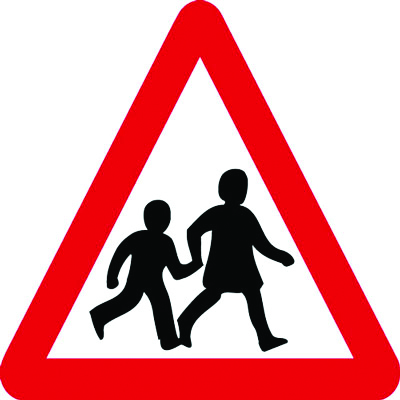 600 x 680 mm children crossing class 1 reflective 3mm aluminium sign. 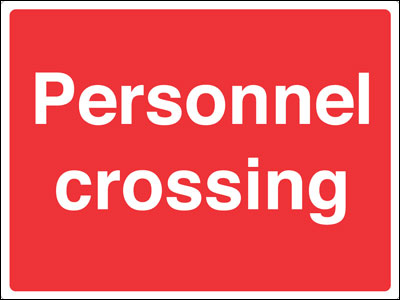 450 x 600 mm all drivers and visitors must class 1 reflective 3mm aluminium sign. 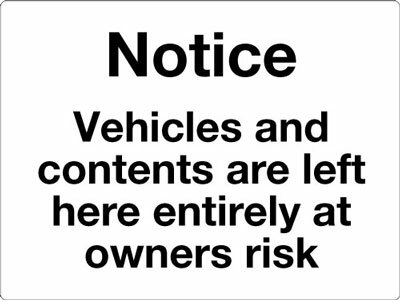 600 x 450 mm priority to vehicles class 1 reflective 3mm aluminium sign. 450 x 600 mm slow class 1 reflective 3mm aluminium sign. 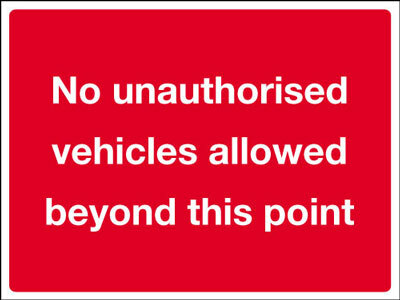 450 x 600 mm no unauthorised vehicles class 1 reflective 3mm aluminium sign. 600 x 450 mm one way class 1 reflective 3mm aluminium sign. 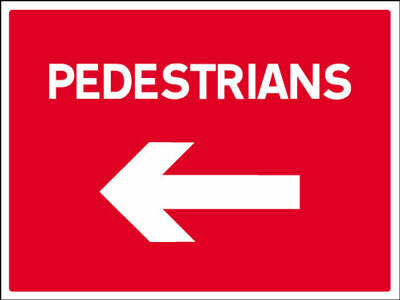 450 x 600 mm no pedestrians class 1 reflective 3mm aluminium sign. 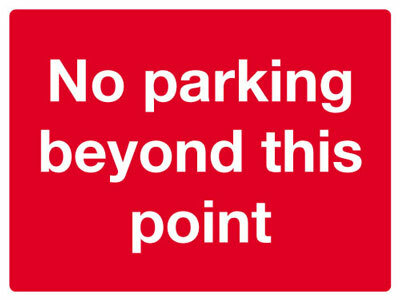 450 x 600 mm no parking beyond this point class 1 reflective 3mm aluminium sign. 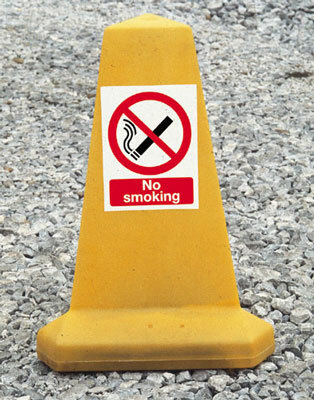 450 x 600 mm no parking in front of class 1 reflective 3mm aluminium sign. 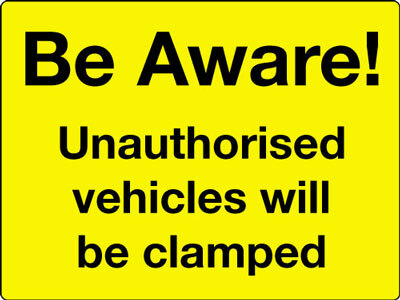 450 x 600 mm be aware unauthorised vehicles class 1 reflective 3mm aluminium sign. 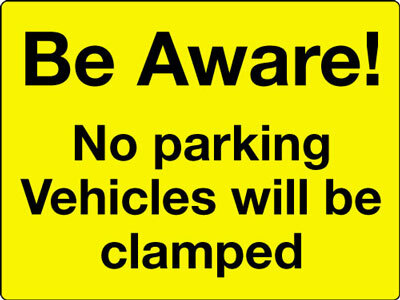 450 x 600 mm be aware no parking class 1 reflective 3mm aluminium sign. 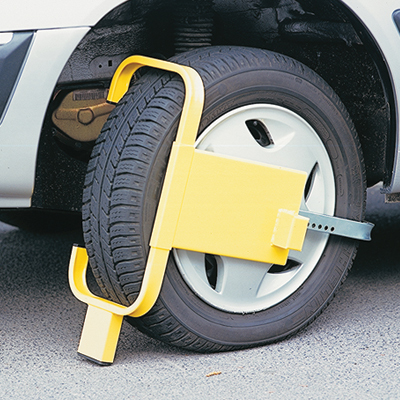 450 x 600 mm be aware private parking class 1 reflective 3mm aluminium sign. 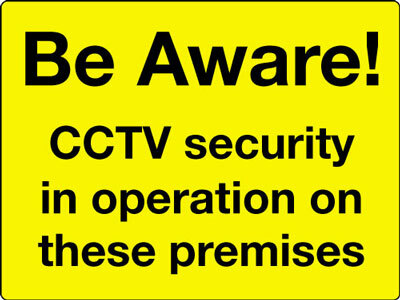 450 x 600 mm be aware CCTV security in class 1 reflective 3mm aluminium sign. 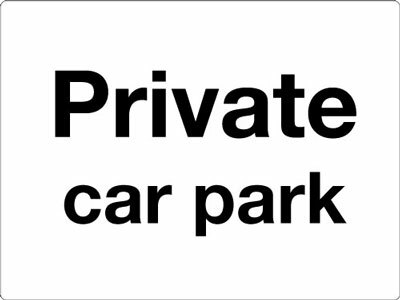 450 x 600 mm private car park class 1 reflective 3mm aluminium sign. 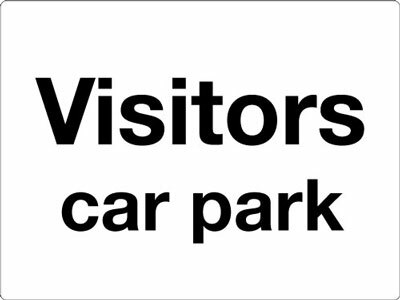 450 x 600 mm visitors car park class 1 reflective 3mm aluminium sign. 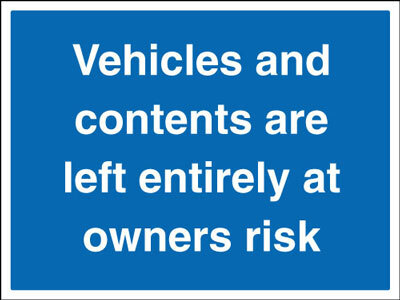 450 x 600 mm notice vehicles and contents class 1 reflective 3mm aluminium sign. 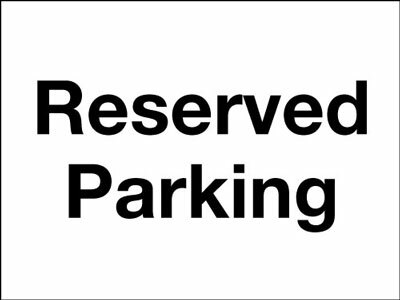 450 x 600 mm reserved parking class 1 reflective 3mm aluminium sign. 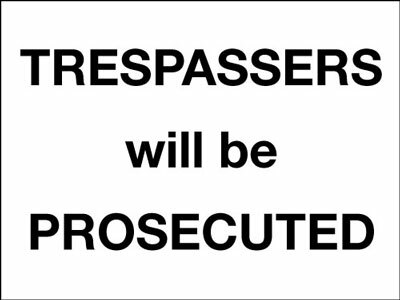 450 x 600 mm trespassers will be prosecuted class 1 reflective 3mm aluminium sign. 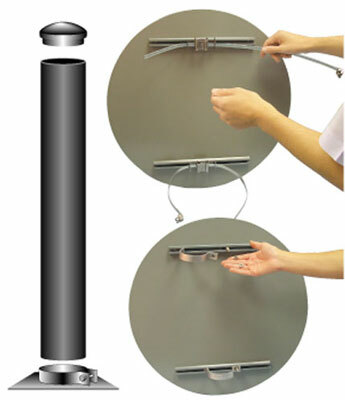 450 x 600 mm fire assembly point right class 1 reflective 3mm aluminium sign. 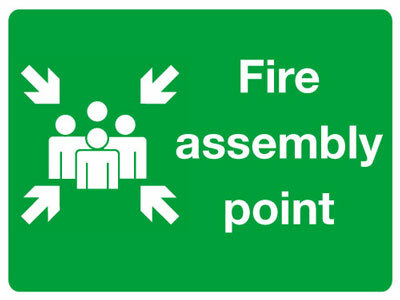 450 x 600 mm fire assembly point left class 1 reflective 3mm aluminium sign. 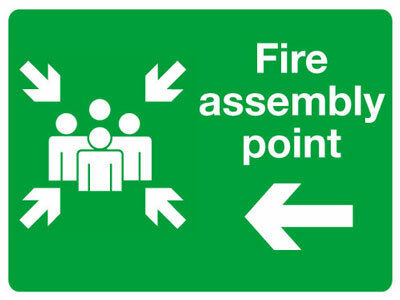 450 x 600 mm fire assembly point class 1 reflective 3mm aluminium sign. 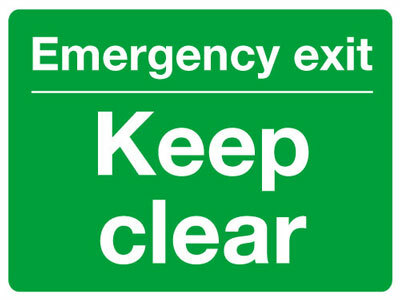 450 x 600 mm emergency exit keep clear class 1 reflective 3mm aluminium sign. 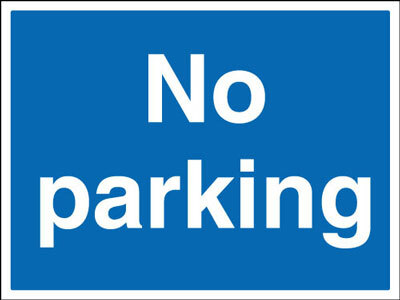 450 x 600 mm no parking in this area class 1 reflective 3mm aluminium sign. 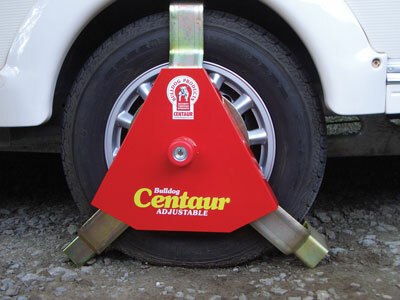 450 x 600 mm disabled badge holders only class 1 reflective 3mm aluminium sign. 450 x 600 mm one way left class 1 reflective 3mm aluminium sign. 450 x 600 mm one way right class 1 reflective 3mm aluminium sign. 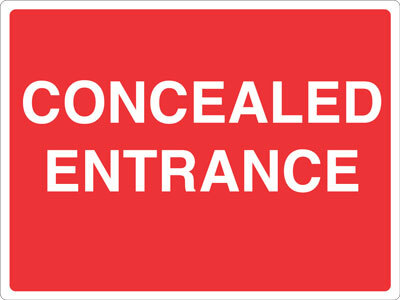 450 x 600 mm no exit class 1 reflective 3mm aluminium sign. 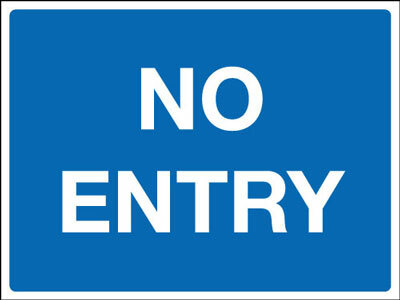 450 x 600 mm no entry class 1 reflective 3mm aluminium sign. 450 x 600 mm in class 1 reflective 3mm aluminium sign. 450 x 600 mm out class 1 reflective 3mm aluminium sign. 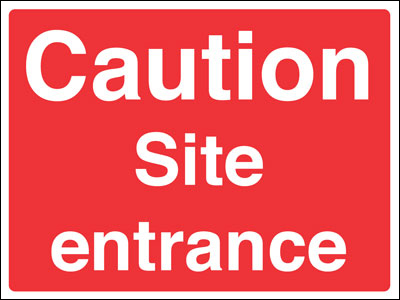 450 x 600 mm this area must be kept clear class 1 reflective 3mm aluminium sign. 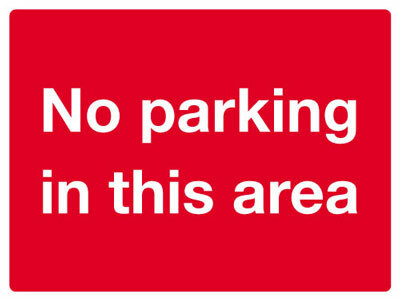 450 x 600 mm no parking class 1 reflective 3mm aluminium sign. 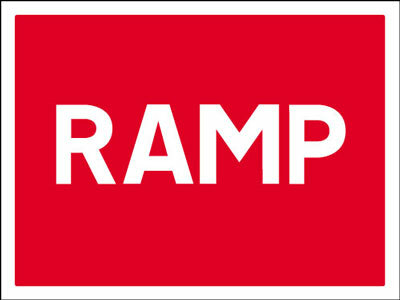 450 x 600 mm ramp class 1 reflective 3mm aluminium sign. 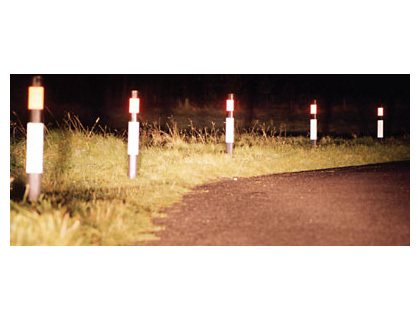 600 mm priority to oncoming traffic class 1 reflective 3mm aluminium sign. 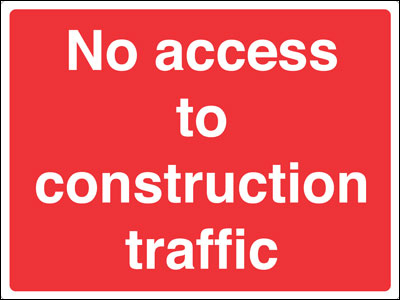 600 mm no entry class 1 reflective 3mm aluminium sign. 600 mm arrow class 1 reflective 3mm aluminium sign. 600 mm cycle route class 1 reflective 3mm aluminium sign. 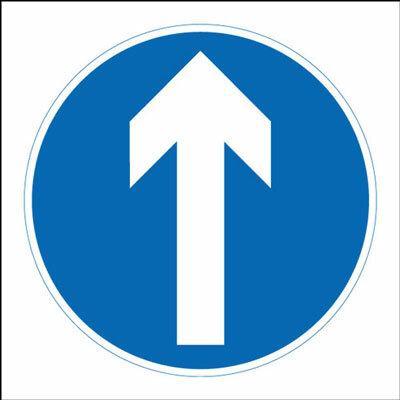 600 mm keep right arrow class 1 reflective 3mm aluminium sign. 600 mm keep left arrow class 1 reflective 3mm aluminium sign. 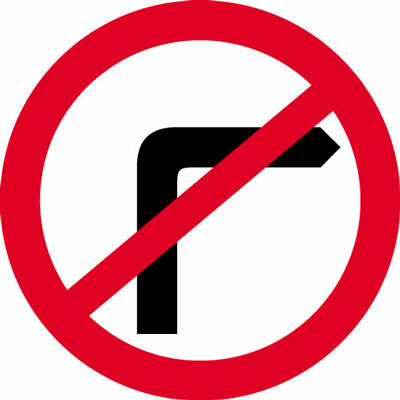 600 mm no left turn class 1 reflective 3mm aluminium sign. 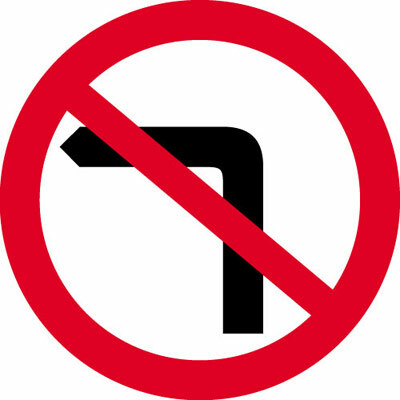 600 mm no right turn class 1 reflective 3mm aluminium sign. 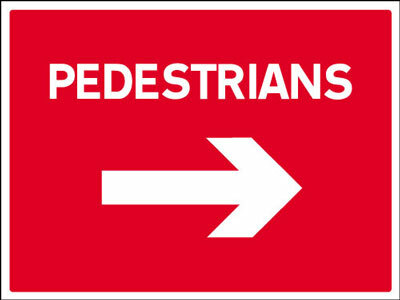 600 mm no pedestrians class 1 reflective 3mm aluminium sign. 600 mm no u turn class 1 reflective 3mm aluminium sign. 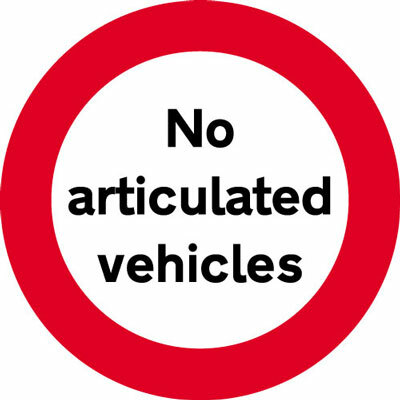 600 mm no articulated vehicles class 1 reflective 3mm aluminium sign. 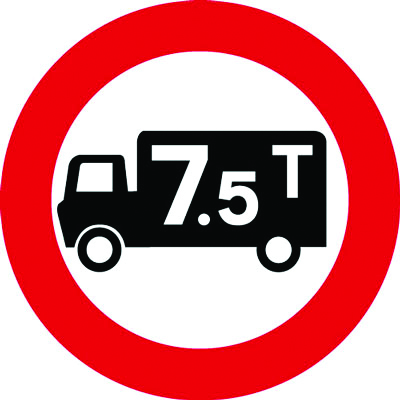 600 mm no goods vehicles over 7.5 ton class 1 reflective 3mm aluminium sign. 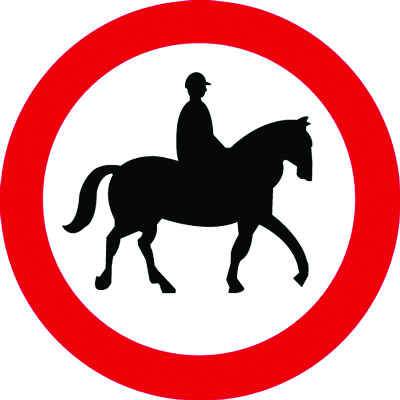 600 mm no horses class 1 reflective 3mm aluminium sign. 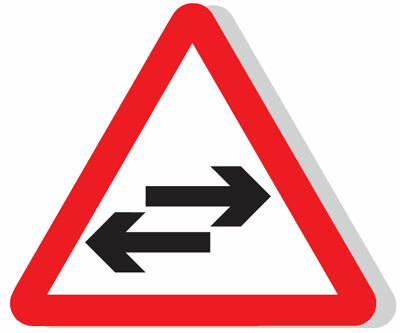 600 mm two way traffic class 1 sign. 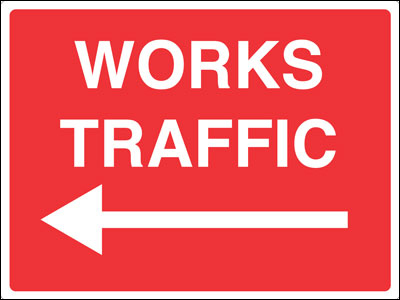 600 mm two way traffic class 1 sign with channel on back. 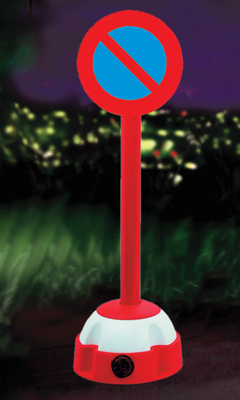 600 mm stop sign class 1 reflective 3mm aluminium sign. 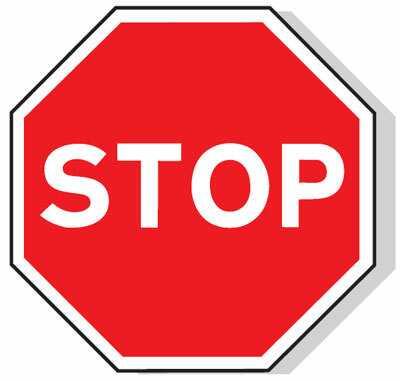 750 mm stop sign class 1 reflective 3mm aluminium sign. 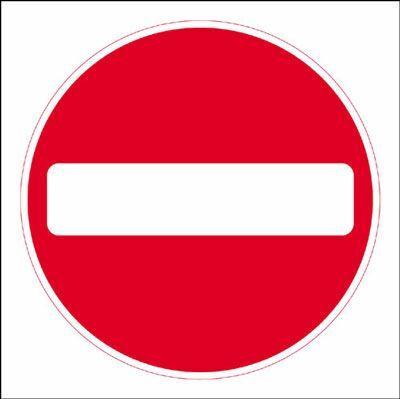 750 mm no entry class 1 reflective 3mm aluminium sign. 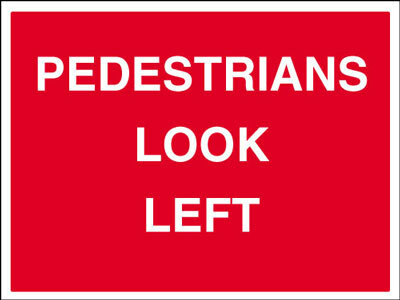 750 x 845 give way class 1 reflective 3mm aluminium sign. 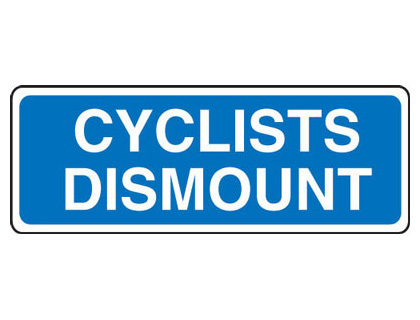 225 x 600 mm cyclists dismount class 2 reflective 3mm aluminium sign. 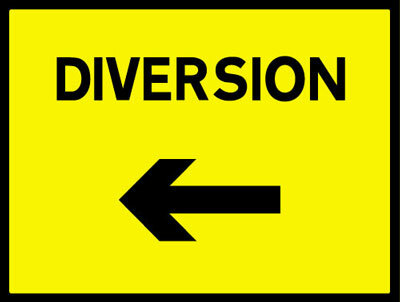 Cycle signs 225 x 600 mm cyclists dismount class 2 reflective 3mm aluminium signs. 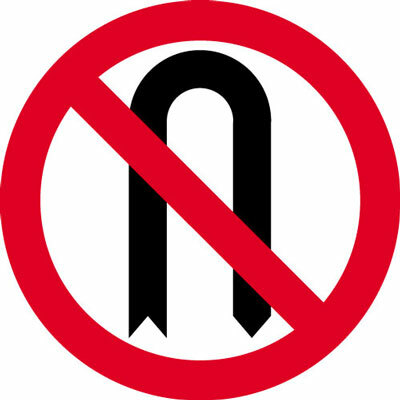 Cycle signs - 225 x 600 mm cyclists dismount CLASS 2 reflective 3 mm aluminium signs. 600 x 680 mm triangular pedestrian crossing class 2 reflective 3mm aluminium sign. 600 x 680 mm overhead height restriction class 2 reflective 3mm aluminium sign. 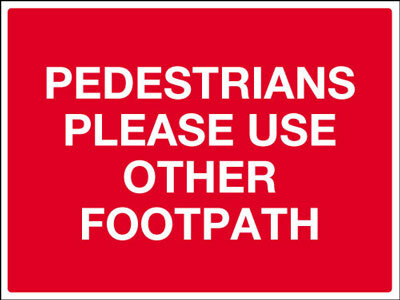 600 x 680 mm give way class 2 reflective 3mm aluminium sign. 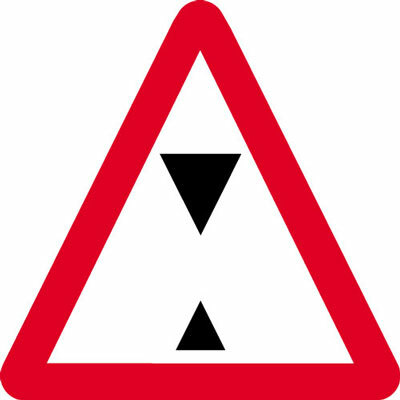 Triangular class 2 children crossing sign. 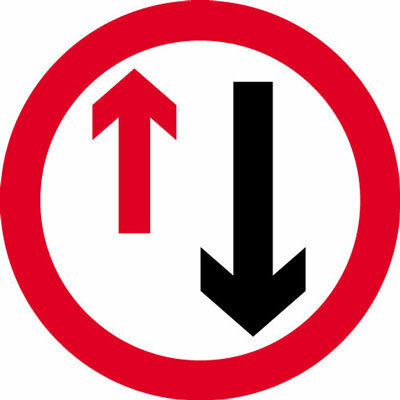 Give Way Signs 600 x 680 mm give way class 2 reflective 3mm aluminium signs. 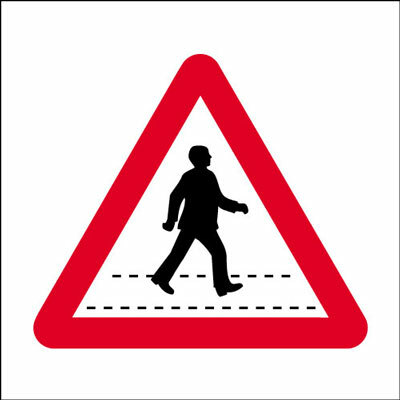 Give Way Signs - 600 x 680 mm give way CLASS 2 reflective 3 mm aluminium signs. 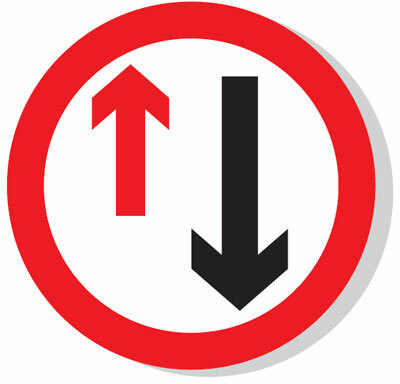 Road traffic signs 600 x 680 mm overhead height restriction class 2 reflective 3mm aluminium signs. 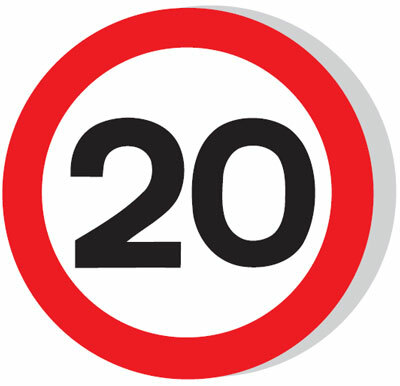 Road traffic signs - 600 x 680 mm overhead height restriction CLASS 2 reflective 3 mm aluminium signs. 375 x 550 mm cycle route class 2 reflective 3mm aluminium sign. 600 mm cycle route class 2 reflective 3mm aluminium sign. 600 mm cycle and pedestrian route class 2 reflective 3mm aluminium sign. 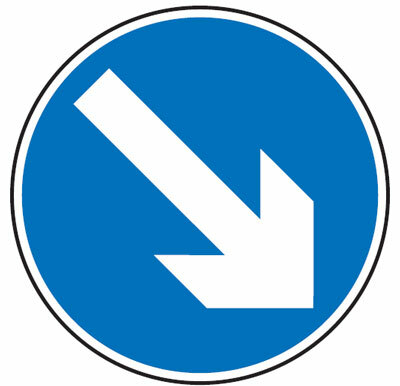 600 mm diameter class 2 keep left sign. 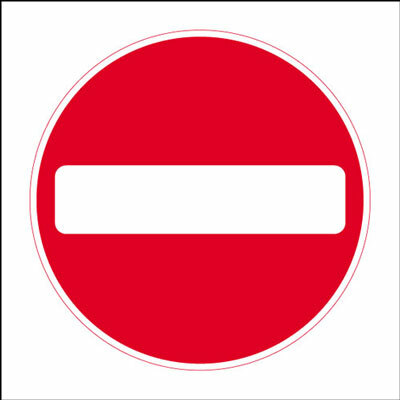 600 mm no entry class 2 reflective 3mm aluminium sign. 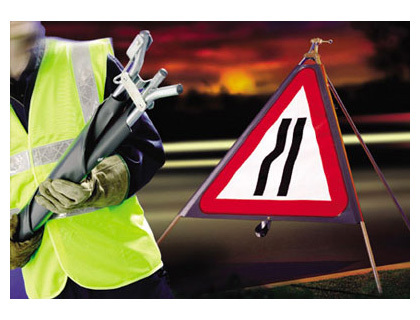 600 mm priority to oncoming traffic class 2 reflective 3mm aluminium sign. 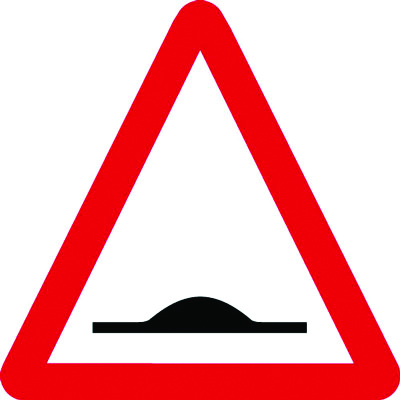 600 mm diameter class 2 keep right sign. 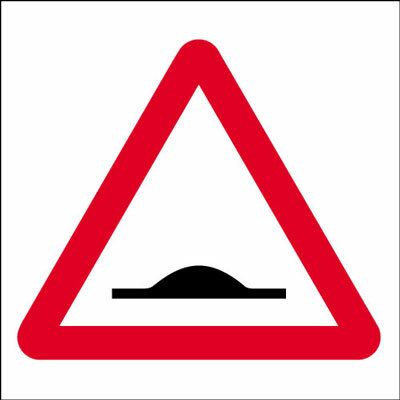 750 mm diameter class 2 keep right sign. 450 x 600 mm think bike class 2 reflective 3mm aluminium sign. 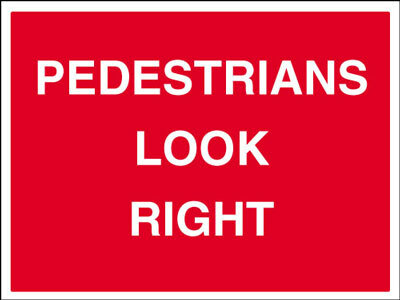 600 x 800 mm cycle lane look both ways class 2 reflective 3mm aluminium sign. 600 x 800 mm cycle lane look left class 2 reflective 3mm aluminium sign. 600 x 800 mm cycle lane look right class 2 reflective 3mm aluminium sign. Cyclist signs 375 x 550 mm cycle route class 2 reflective 3mm aluminium signs. 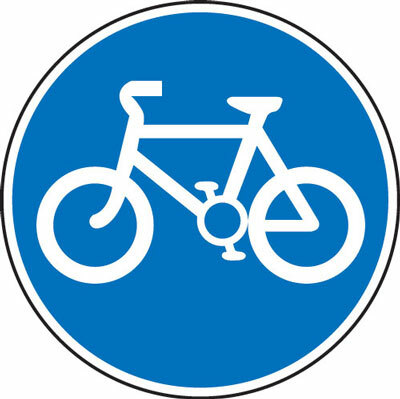 Cyclist signs - 375 x 550 mm cycle route CLASS 2 reflective 3 mm aluminium signs. Cyclist signs 600 mm cycle route class 2 reflective 3mm aluminium signs. 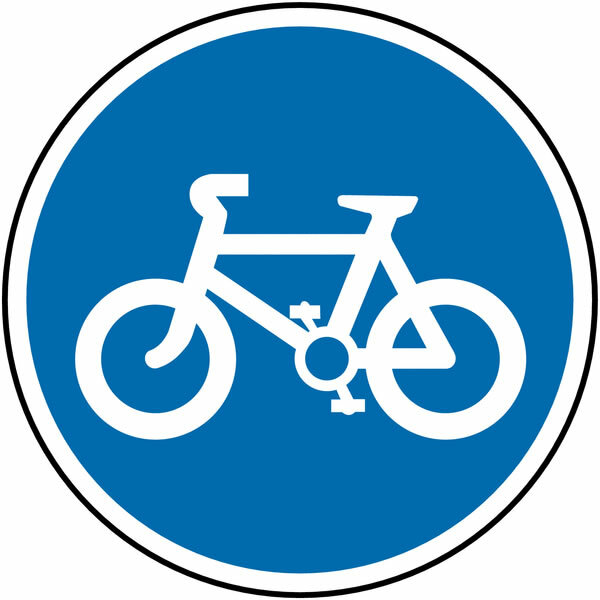 Cyclist signs - 600 mm cycle route CLASS 2 reflective 3 mm aluminium signs. 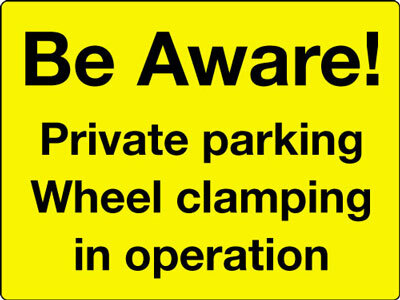 450 x 600 mm beware cyclists class 2 reflective 3mm aluminium sign. 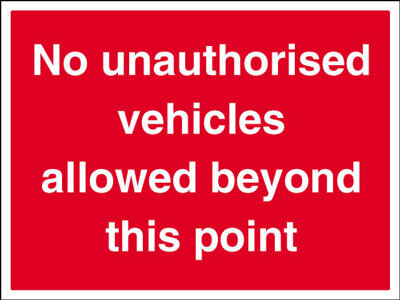 450 x 600 mm no unauthorised vehicles class 2 reflective 3mm aluminium sign. 450 x 600 mm slow class 2 reflective 3mm aluminium sign. 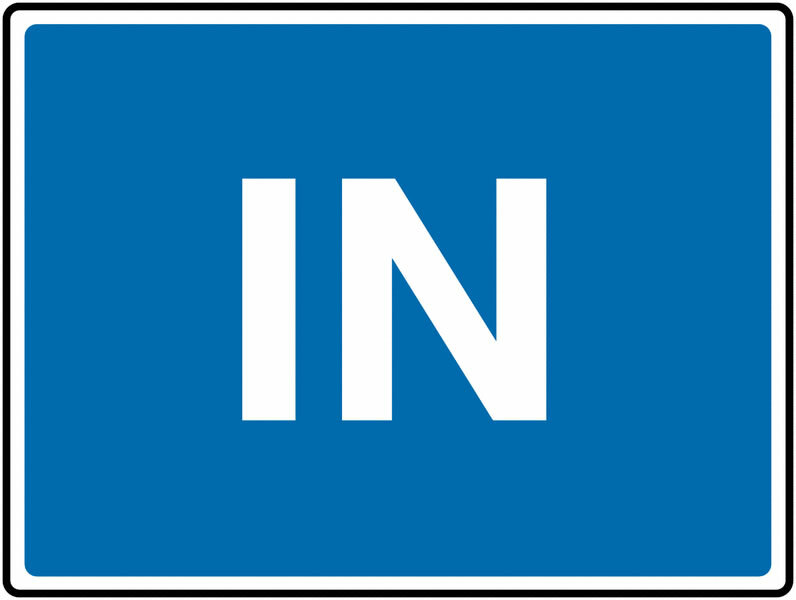 600 x 450 mm class 2 one way street sign. 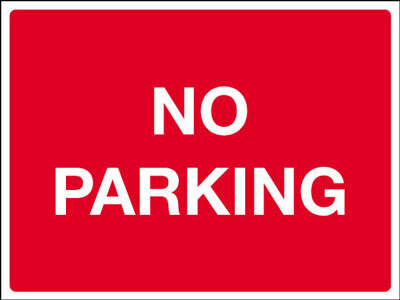 450 x 600 mm class 2 No parking 3mm aluminium sign. 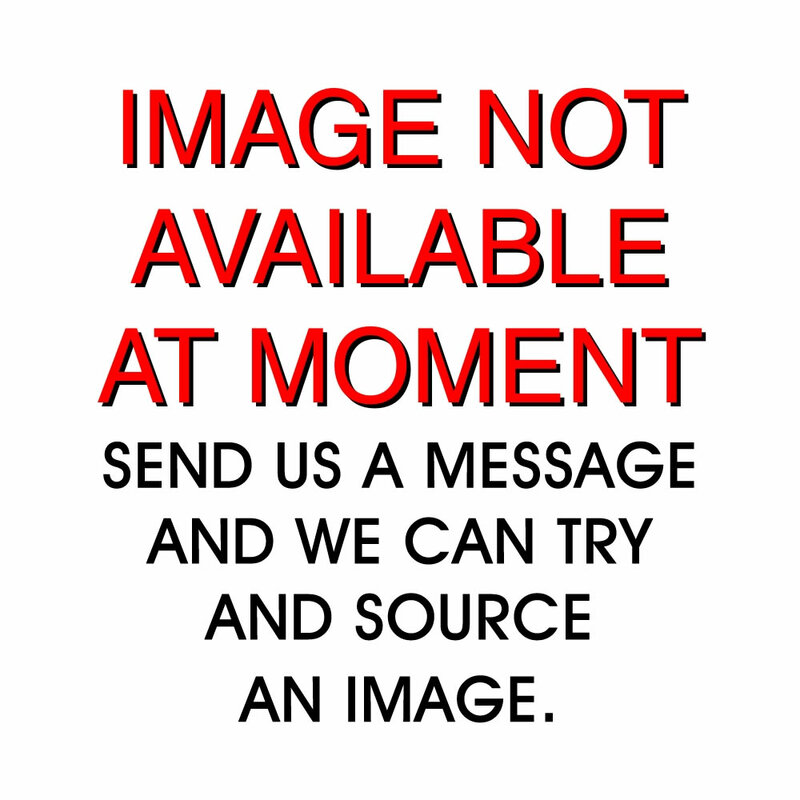 450 x 600 mm class 2 fire assembly wall class 1 reflective 3mm aluminium sign. 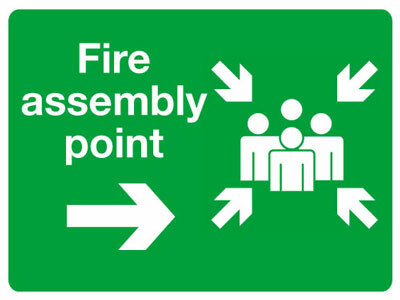 450 x 600 mm class 2 fire assembly post class 1 reflective 3mm aluminium sign. 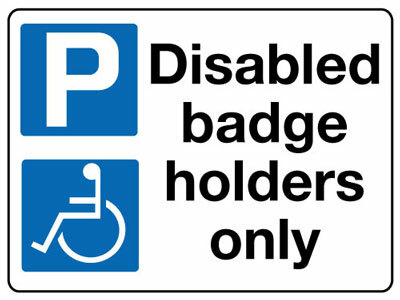 450 x 600 mm class 2 disabled badge 3mm aluminium sign. 450 x 600 mm one way right class 2 reflective 3mm aluminium sign. 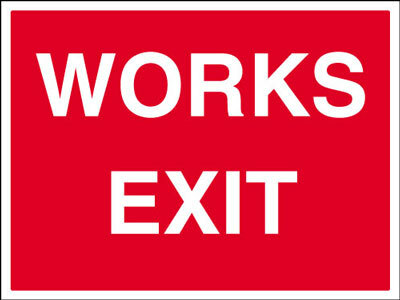 450 x 600 mm one way left class 2 reflective 3mm aluminium sign. 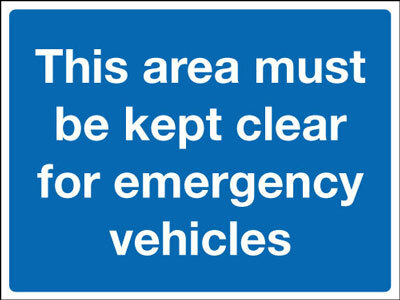 450 x 600 mm this area must be kept clear class 2 reflective 3mm aluminium sign. 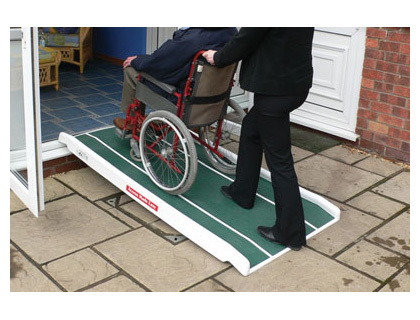 450 x 600 mm ramp class 2 reflective 3mm aluminium sign. 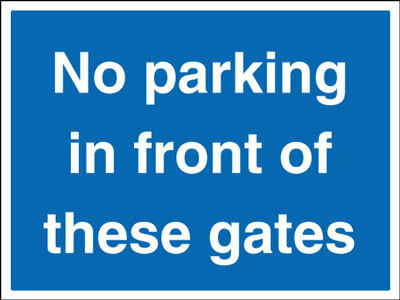 450 x 600 mm no parking class 2 reflective 3mm aluminium sign. 450 x 600 mm out class 2 reflective 3mm aluminium sign. 450 x 600 mm in class 2 reflective 3mm aluminium sign. 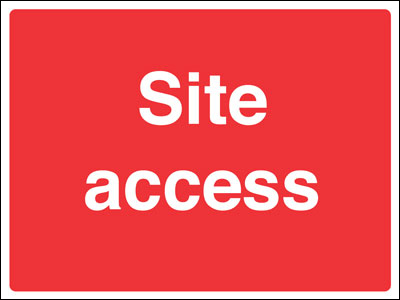 450 x 600 mm no entry class 2 reflective 3mm aluminium sign. 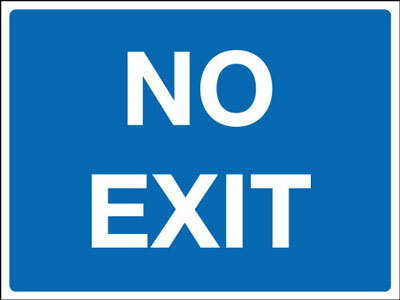 450 x 600 mm no exit class 2 reflective 3mm aluminium sign. 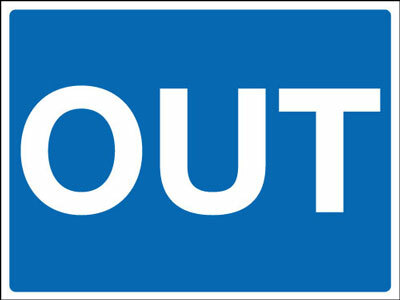 Out signs 450 x 600 mm out class 2 reflective 3mm aluminium signs. 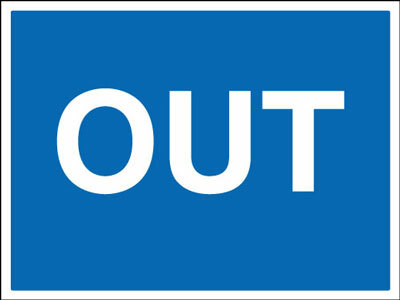 Out signs - 450 x 600 mm out CLASS 2 reflective 3 mm aluminium signs. 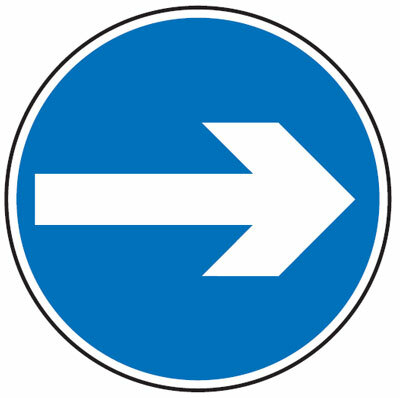 One Way Signs 450 x 600 mm one way right class 2 reflective 3mm aluminium signs. 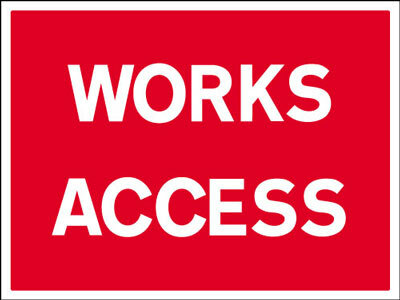 One Way Signs - 450 x 600 mm one way right CLASS 2 reflective 3 mm aluminium signs. 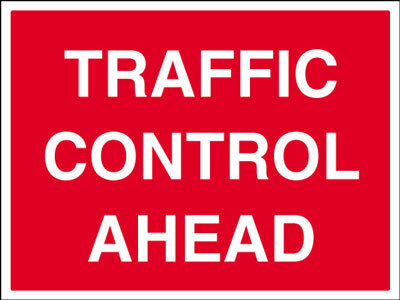 Road traffic signs 450 x 600 mm think bike class 2 reflective 3mm aluminium signs. 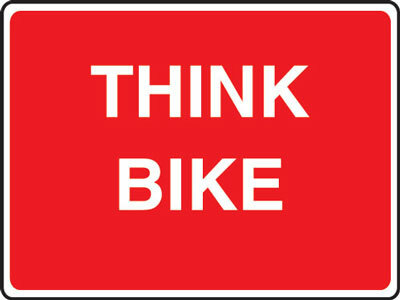 Road traffic signs - 450 x 600 mm think bike CLASS 2 reflective 3 mm aluminium signs. 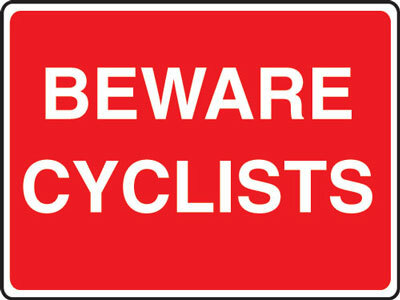 Cycle signs 450 x 600 mm beware cyclists class 2 reflective 3mm aluminium signs. 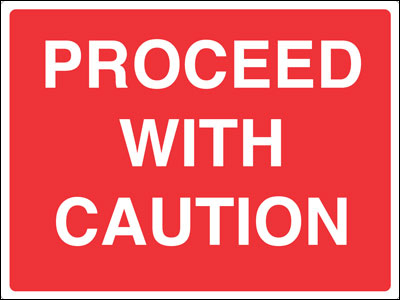 Cycle signs - 450 x 600 mm beware cyclists CLASS 2 reflective 3 mm aluminium signs. 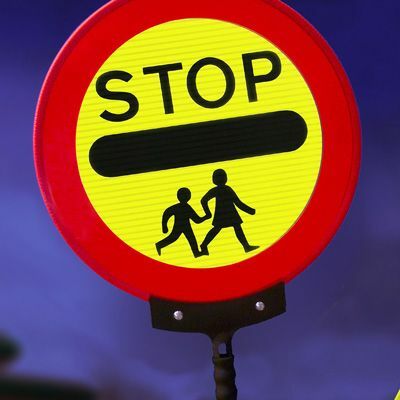 Road traffic signs 450 x 600 mm in class 2 reflective 3mm aluminium signs. 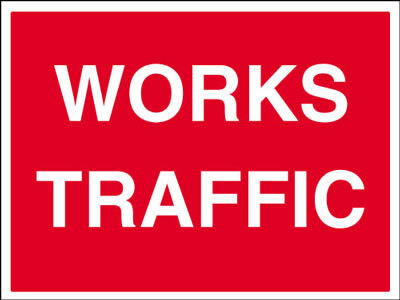 Road traffic signs - 450 x 600 mm in CLASS 2 reflective 3 mm aluminium signs. 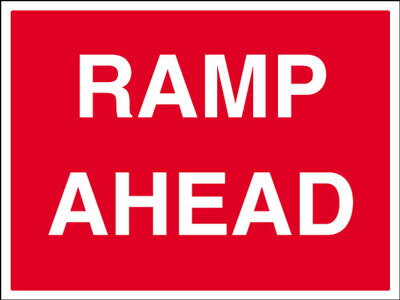 Speed ramp signs 450 x 600 mm ramp class 2 reflective 3mm aluminium signs. 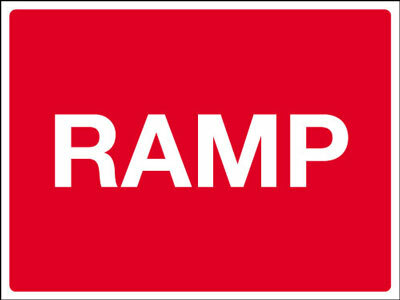 Speed ramp signs 450 x 600 mm ramp CLASS 2 reflective 3 mm aluminium signs. 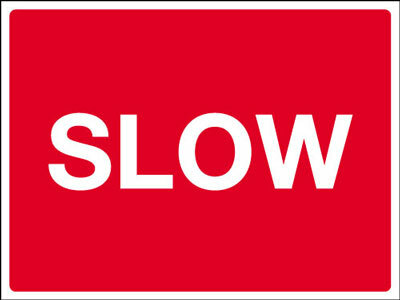 Slow road signs 450 x 600 mm slow class 2 reflective 3mm aluminium signs. 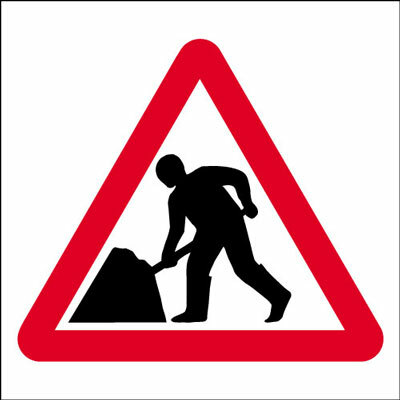 Slow road signs - 450 x 600 mm slow CLASS 2 reflective 3 mm aluminium signs. 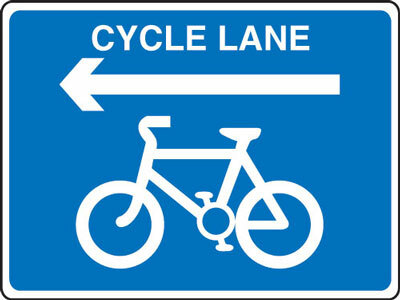 Cycle signs 600 x 800 mm cycle lane look right class 2 reflective 3mm aluminium signs. 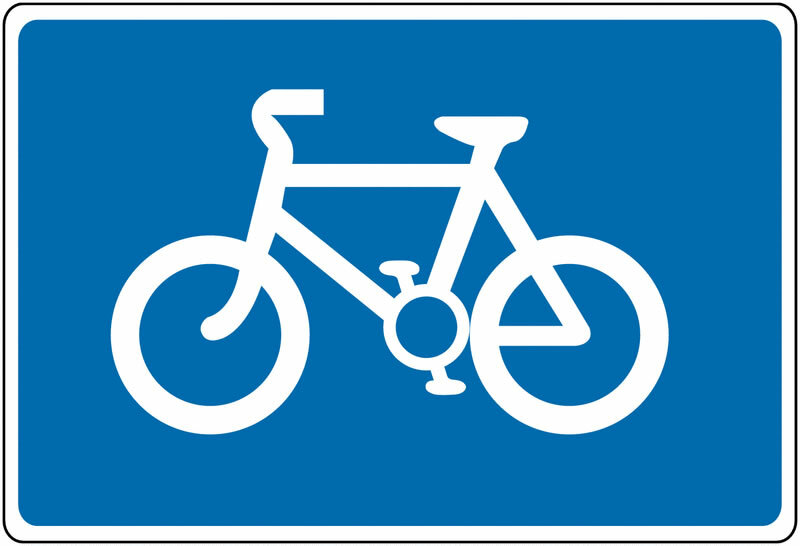 Cycle signs - 600 x 800 mm cycle lane look right CLASS 2 reflective 3 mm aluminium signs. 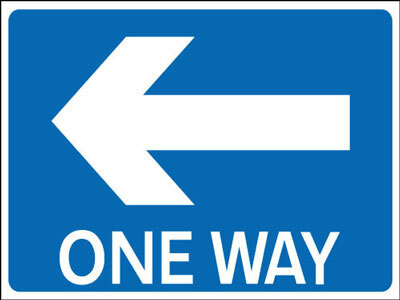 One Way Signs 450 x 600 mm one way left class 2 reflective 3mm aluminium signs. 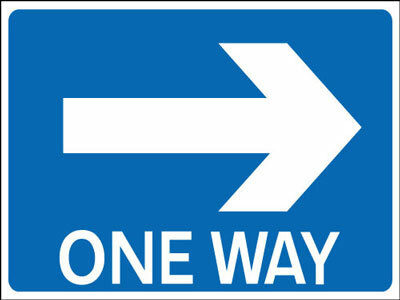 One Way Signs - 450 x 600 mm one way left CLASS 2 reflective 3 mm aluminium signs. 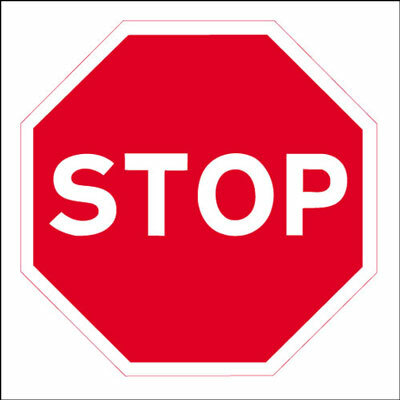 600 mm stop sign class 2 reflective 3mm aluminium sign. 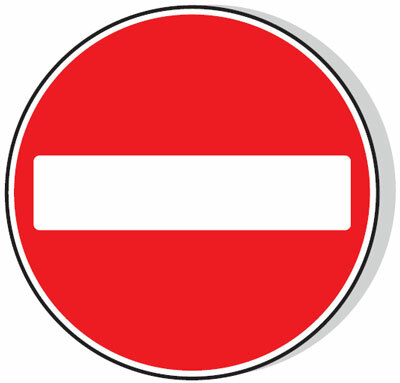 750 mm no entry class 2 reflective 3mm aluminium sign. 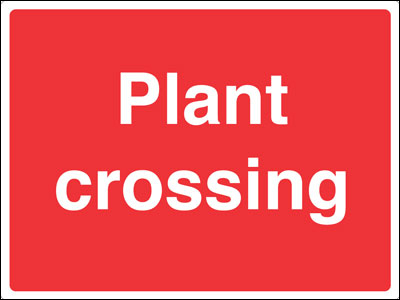 750 x 845 mm give way class 2 reflective 3mm aluminium sign. 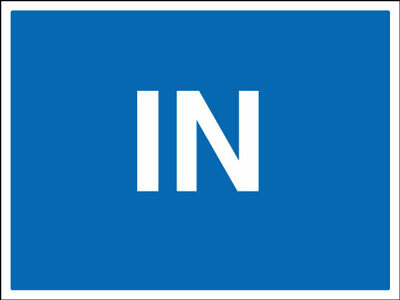 750 x 845 give way class 2 reflective 3mm aluminium sign. 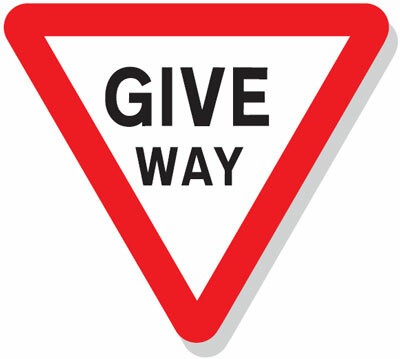 Give Way Signs 750 x 845 mm give way class 2 reflective 3mm aluminium signs. 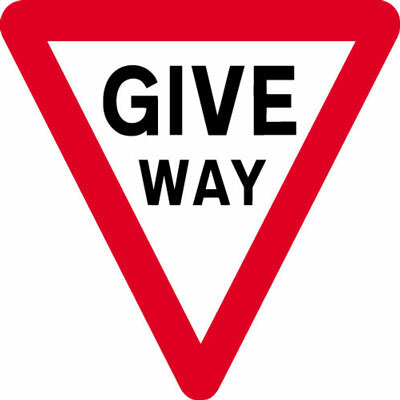 Give Way Signs - 750 x 845 mm give way CLASS 2 reflective 3 mm aluminium signs. 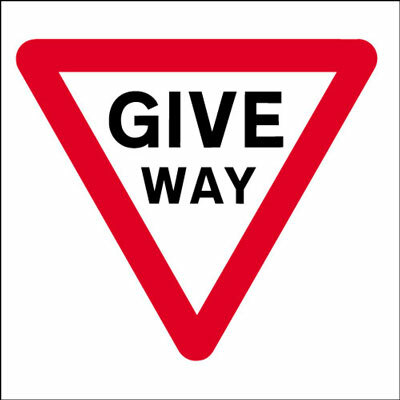 Give Way Signs 750 x 845 give way class 2 reflective 3mm aluminium signs. Give Way Signs - 750 x 845 give way CLASS 2 reflective 3 mm aluminium signs. 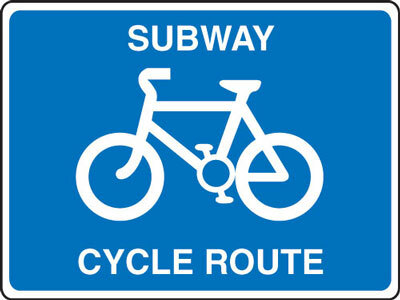 600 x 800 mm subway cycle route class 2 reflective 3mm aluminium sign. 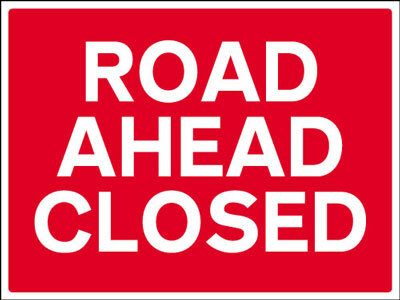 600 x 800 mm end of route class 2 reflective 3mm aluminium sign. 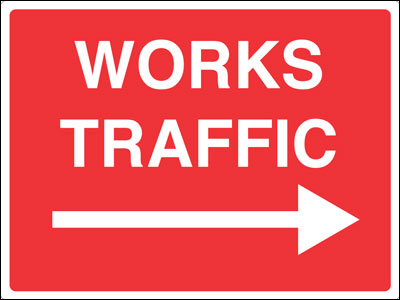 600 x 800 mm cycle lane arrow class 2 reflective 3mm aluminium sign. 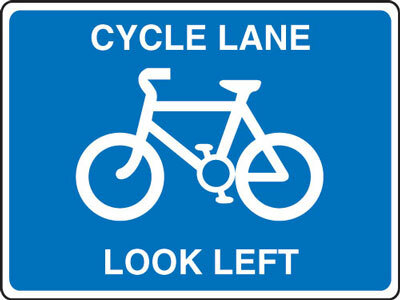 Cycle signs 600 x 800 mm cycle lane look left class 2 reflective 3mm aluminium signs. 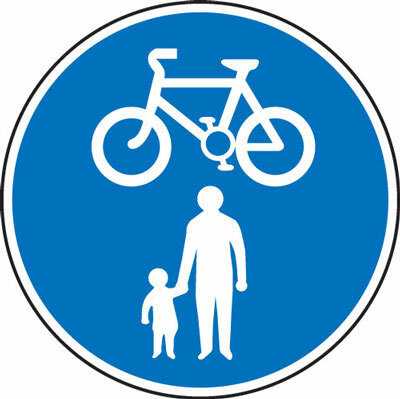 Cycle signs - 600 x 800 mm cycle lane look left CLASS 2 reflective 3 mm aluminium signs. 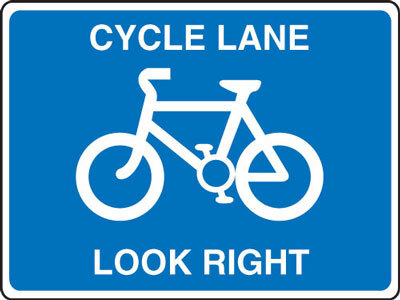 Cycle signs 600 x 800 mm cycle lane look both ways class 2 reflective 3mm aluminium signs. 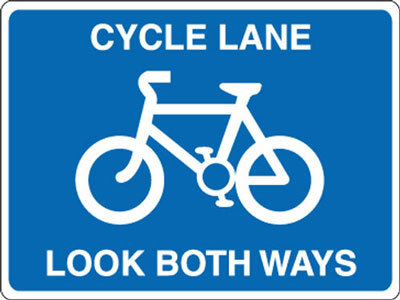 Cycle signs - 600 x 800 mm cycle lane look both ways CLASS 2 reflective 3 mm aluminium signs. 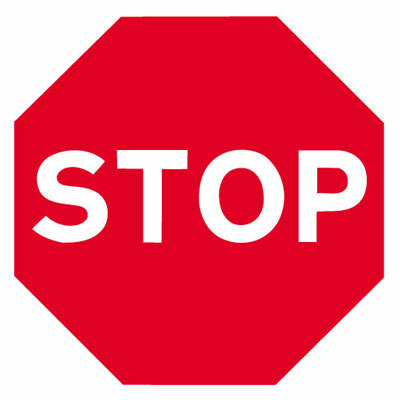 750 mm stop sign class 2 reflective 3mm aluminium sign. 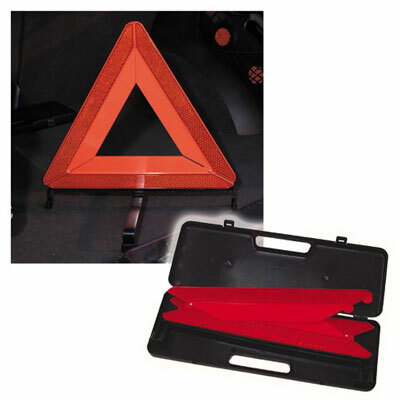 Cycle signs 600 x 800 mm cycle lane arrow class 2 reflective 3mm aluminium signs. 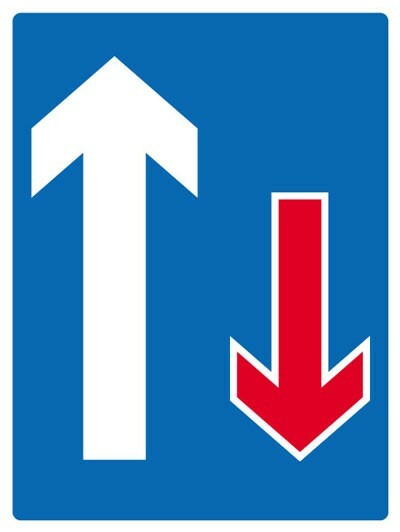 Cycle signs - 600 x 800 mm cycle lane arrow CLASS 2 reflective 3 mm aluminium signs. 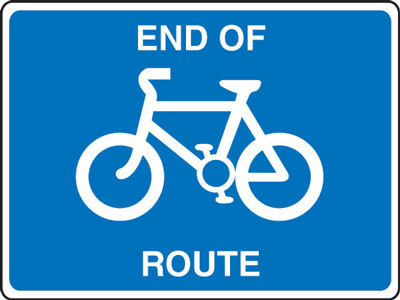 Cyclist signs 600 x 800 mm end of route class 2 reflective 3mm aluminium signs. 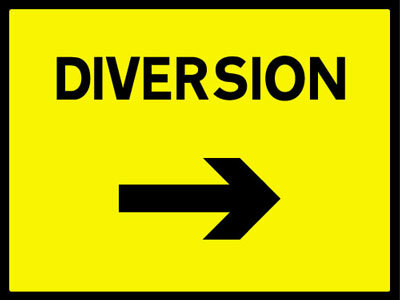 Cyclist signs - 600 x 800 mm end of route CLASS 2 reflective 3 mm aluminium signs. Cyclist signs 600 x 800 mm subway cycle route class 2 reflective 3mm aluminium signs. 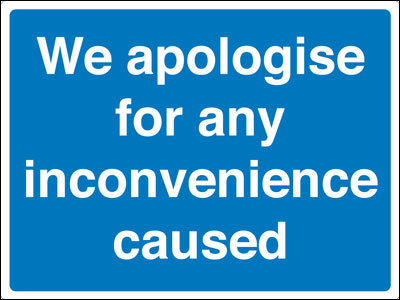 Cyclist signs - 600 x 800 mm subway cycle route CLASS 2 reflective 3 mm aluminium signs. 450 mm 15 MPH class 1 reflective 3mm aluminium sign. 450 mm 20 MPH class 1 reflective 3mm aluminium sign. 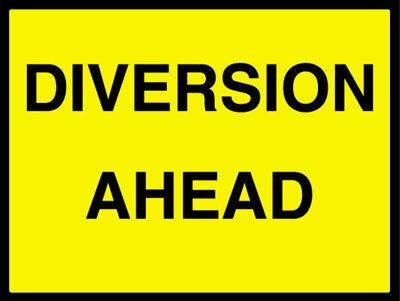 450 mm 5 MPH class 1 reflective 3mm aluminium sign. 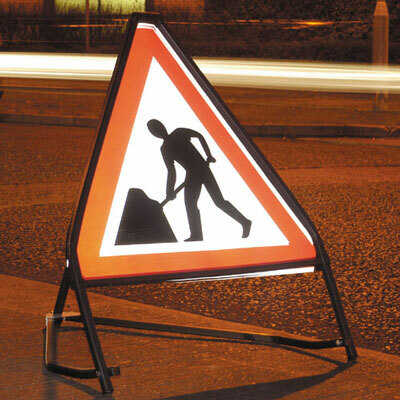 450 mm 10 MPH class 1 reflective 3mm aluminium sign. 450 mm 5 MPH class 1 reflective 3mm aluminium signs. 450 mm 5 MPH class 1 reflective 3 mm aluminium signs. 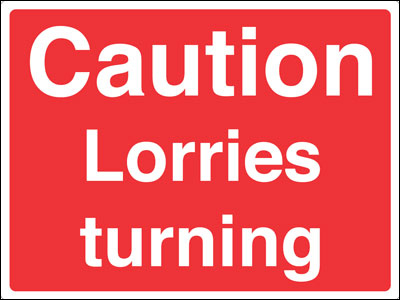 450 mm 10 MPH class 1 reflective 3mm aluminium signs. 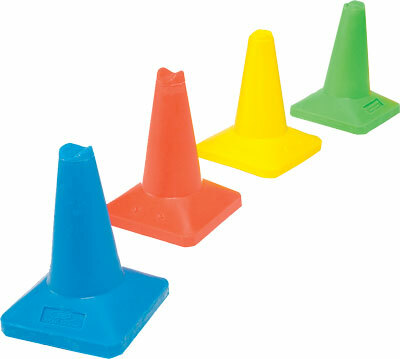 450 mm 10 MPH class 1 reflective 3 mm aluminium signs. 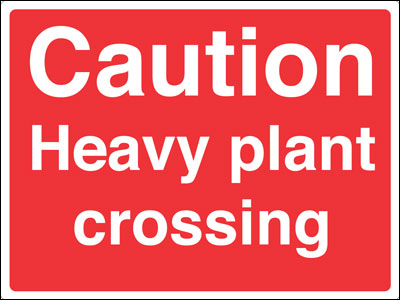 450 mm 15 MPH class 1 reflective 3mm aluminium signs. 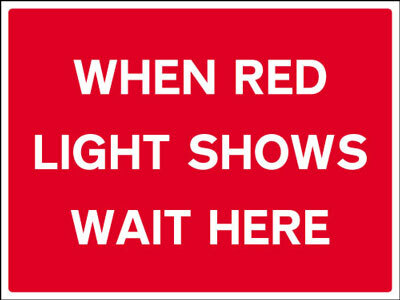 450 mm 15 MPH class 1 reflective 3 mm aluminium signs. 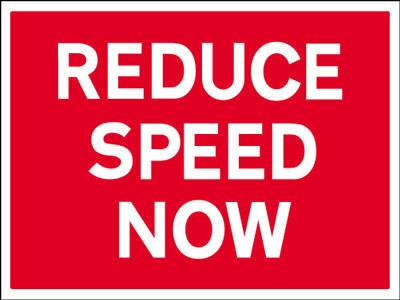 450 mm 20 MPH class 1 reflective 3mm aluminium signs. 450 mm 20 MPH class 1 reflective 3 mm aluminium signs. 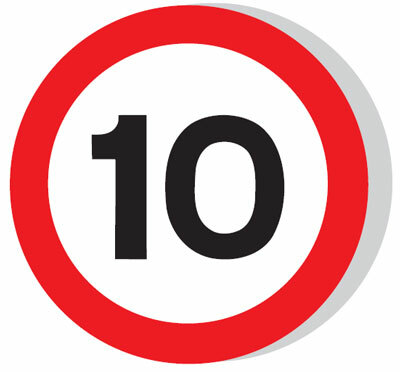 600 x 450 mm 10 MPH speed limit wall mounted class 1 reflective 3mm aluminium sign. 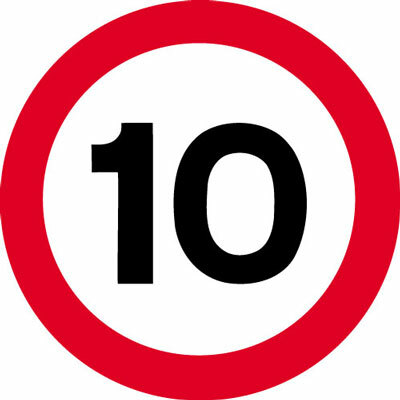 600 x 450 mm 10 MPH speed limit post mounted class 1 reflective 3mm aluminium sign. 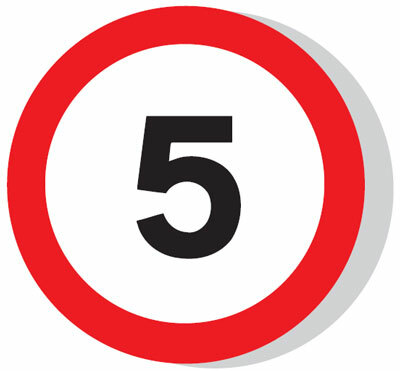 600 x 450 mm 5 MPH speed limit wall mounted class 1 reflective 3mm aluminium sign. 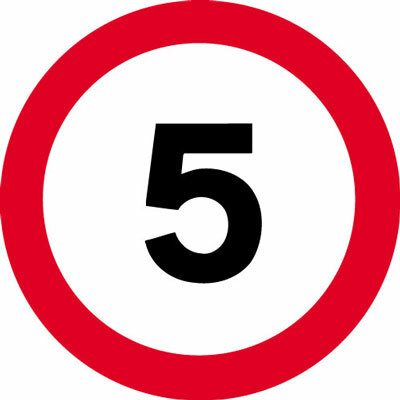 600 x 450 mm 5 MPH speed limit post mounted class 1 reflective 3mm aluminium sign. 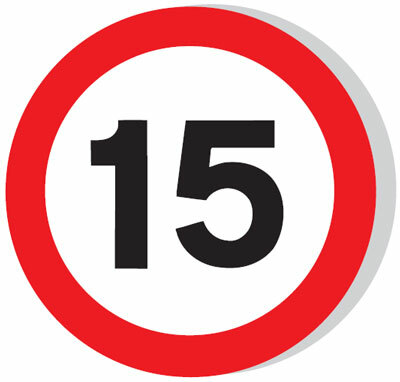 600 x 450 mm 15 MPH speed limit wall mounted class 1 reflective 3mm aluminium sign. 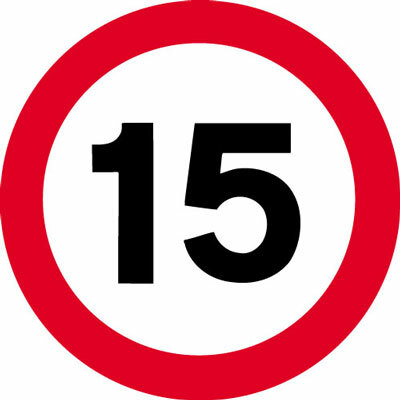 600 x 450 mm 15 MPH speed limit post mounted class 1 reflective 3mm aluminium sign. 600 mm 10 MPH class 1 reflective 3mm aluminium sign. 600 mm 5 MPH class 1 reflective 3mm aluminium sign. 600 mm 20 MPH class 1 reflective 3mm aluminium sign. 600 mm 15 MPH class 1 reflective 3mm aluminium sign. 750 mm 15 MPH class 1 reflective 3mm aluminium sign. 750 mm 20 MPH class 1 reflective 3mm aluminium sign. 750 mm 5 MPH class 1 reflective 3mm aluminium sign. 750 mm 10 MPH class 1 reflective 3mm aluminium sign. 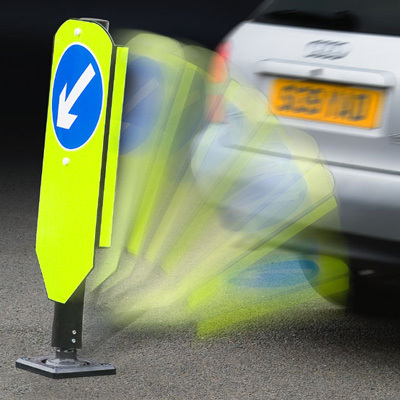 900 x 450 mm 15 MPH speed bumps ahead class 1 reflective 3mm aluminium sign. 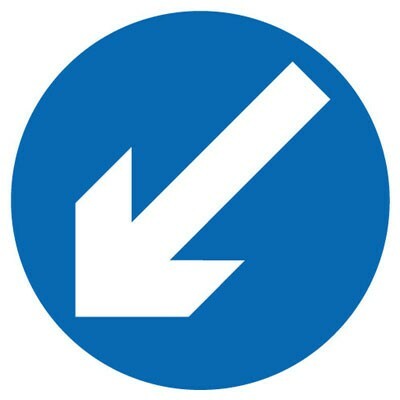 900 x 450 mm 10 MPH speed bumps ahead class 1 reflective 3mm aluminium sign. 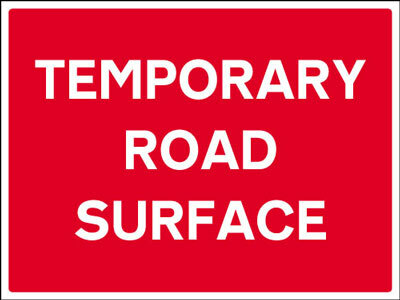 900 x 450 mm 5 MPH speed bumps ahead class 1 reflective 3mm aluminium sign. 600 mm 10 MPH class 2 reflective 3mm aluminium sign. 600 mm 5 MPH class 2 reflective 3mm aluminium sign. 600 mm 20 MPH class 2 reflective 3mm aluminium sign. 600 mm 15 MPH class 2 reflective 3mm aluminium sign. 750 mm 15 MPH class 2 reflective 3mm aluminium sign. 750 mm 20 MPH class 2 reflective 3mm aluminium sign. 750 mm 5 MPH class 2 reflective 3mm aluminium sign. 750 mm 10 MPH class 2 reflective 3mm aluminium sign.